Fairy bread is a treat that originated in Australia. According to our friends down under, you need cheap white bread, butter, and 100s and 1000s–their term for sprinkles to make this magic happen. It’s said to be the easiest and cheapest way to make kids happy at birthday parties. One article even made fun of us Americans for taking our versions of fairy bread too far. Well, the game is on. I’m not afraid of a little fun ridicule when it involves making something magical, simple, and delicious. We didn’t change much–it’s still slightly ridiculous, but full of color and happiness. With frosting instead of butter and a vast array of sprinkles, I can’t imagine this version of fairy bread upsetting anyone. However, I wouldn’t eat mass quantities of it as it’s basically all sugar. A huge, heaping dose of physical activity should be served before and after eating such a treat. Which makes this recipe ideal for kids’ birthday parties with jump houses, relay races, and all manner of fun running-around-style games. To get the kids moving, make sure you plan active games in advance. To keep the fairy theme going strong, pass out butterfly nets and set up a bubble machine. Tell the kids to “catch” as many bubbles as they can! You can also blow up balloons and put a small fairy figurine inside. Let the kids play catch with it while trying to keep it from touching the ground. If you’ve got the space, get all your guests involved with planting a fairy garden. Purchase a few flats of your favorite delicate flowers and separate them into individual clumps. Wrap the root balls into pretty cheesecloth and hide them all around your yard. You can also hide pretty rocks, tiny houses, and all sorts of fairy-themed props in cute woodland containers. Let the kids find them and bring them back to the planting area. When it’s all finished, you can have magical tea time with fairy bread to celebrate. 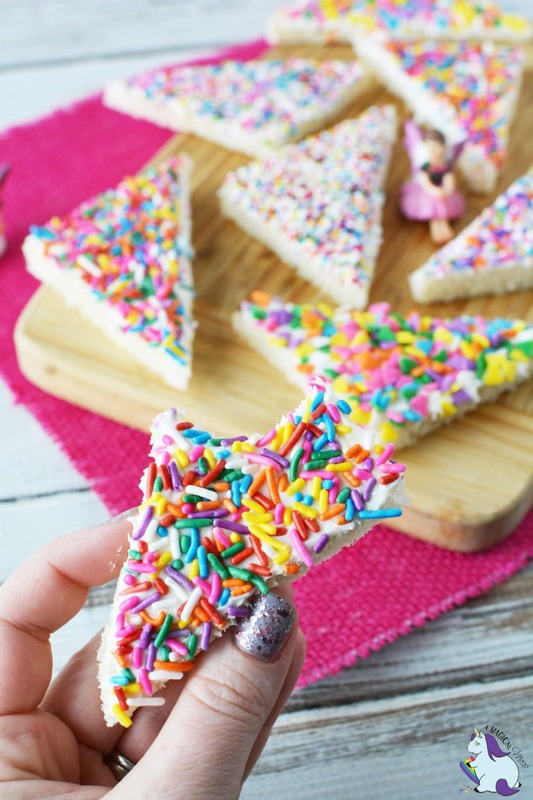 Fairy bread is so easy to make and fun to eat! It’s the perfect treat for tea parties or themed celebrations. Spread a thin layer of frosting on the bread, making sure to spread it all the way to the edges of the bread. Gently press sprinkles into frosting. Lift bread and tip to the side so any rogue sprinkles are caught on a plate. Slice bread in half diagonally. Use the “rogue sprinkles” for the last frosted slice. Slice into tiny bites and serve with a mini tea set to keep things fairy-size. Set up a fairy bread station and allow guests to decorate their own with a plethora of sprinkle options. 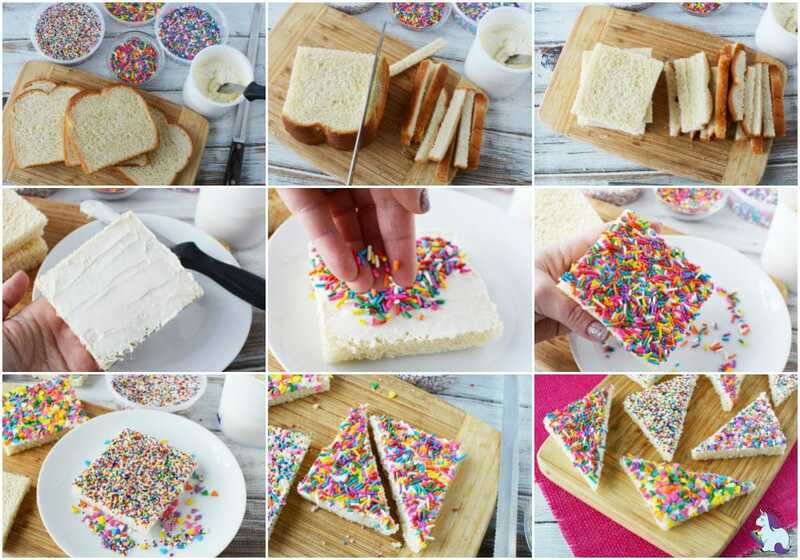 Layer with ice cream and freeze for 15 minutes to make fairy bread ice cream sandwiches. 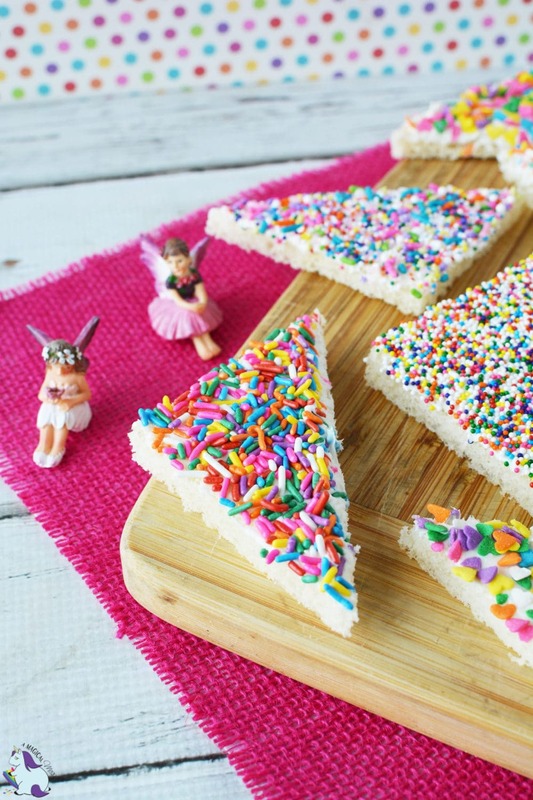 Have you ever had any version of fairy bread? Please tell us about it and share this post with all your magical friends! 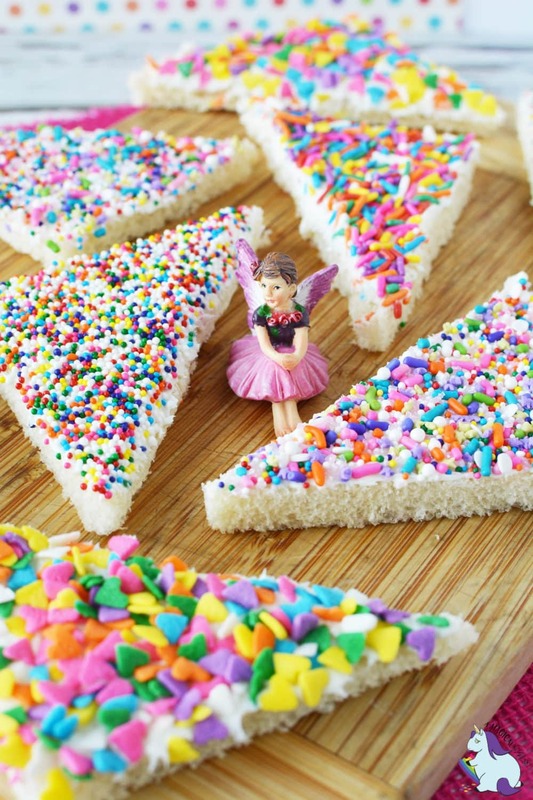 The fairy bread is really cute and would definitely be perfect for any little girl’s party! I like the idea of setting up stations too and letting the kids get creative! Thanks so much for sharing. The Magical Fairy Bread looks so good, I can’t wait to make it. The kids will love it. My kids would love this and it reminded me to write sprinkles on my shopping list. I’m almost out. The bread is so cute. I will make for my nephew. This sounds easy to make. it is so cute! This does not sound good to me! LOL Regular bread with frosting?!? My daughter would love it though! 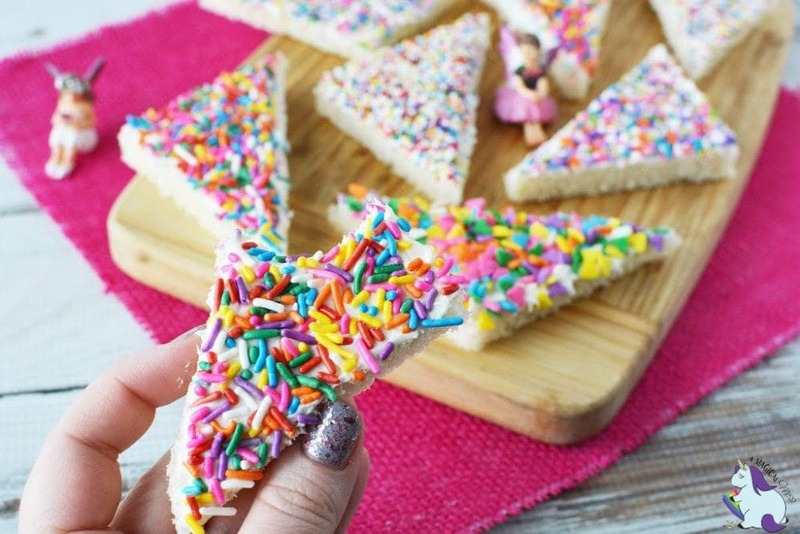 What a cute idea that fairy bread is! i am going to have to try this! 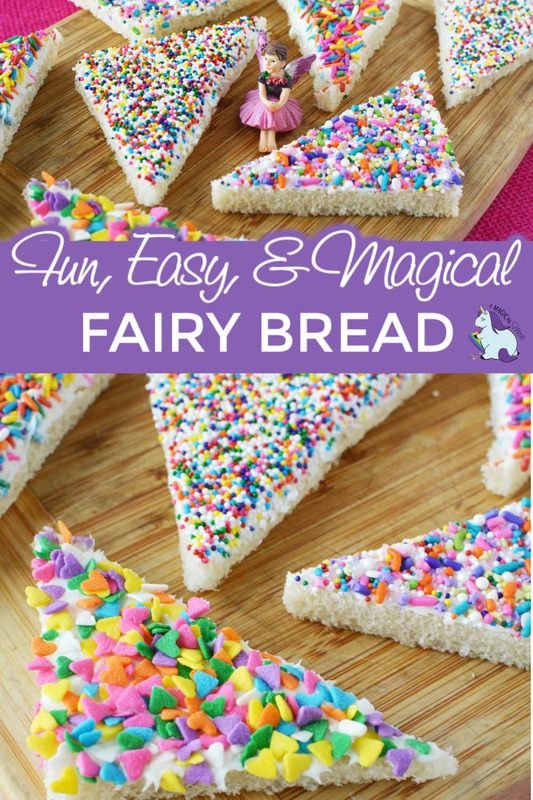 Magical Fairy Bread seems like to much fun to make and eat! My niece would love this. This is another cute recipe that I would like to make with my daughters. This looks like so much fun to make. I’ve never made fairy bread before. I need to try this. No I haven’t. I love how happy it is, and the butter version appeals to me too. That sounds like a fun idea for a party. The bubble idea is simple and fairy like. Extra sprinkles for me! What a darling idea for a sweet snack! My daughter would love to make fairy bread. Super cute! What a cute snack idea! I love the tiny fairies in your pictures. I would make these with butter. These treats would be great for a girl’s party. Our granddaughter would love it. 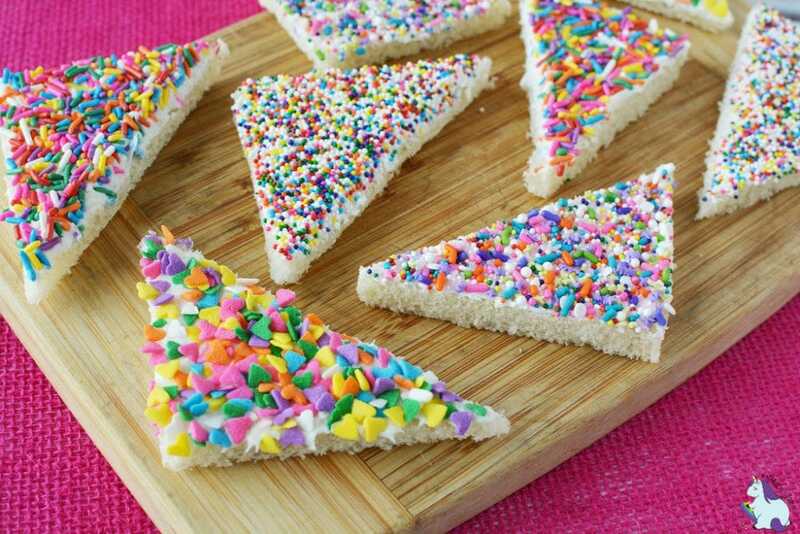 The easy fairy bread looks delicious.